“I’ve put you in what we used to call a city view room,” said the receptionist at one of two surviving hotels in the centre. The view, now, is of endless car parks where office blocks and shops used to be: big open spaces right in the middle of town. Christchurch was a lovely city before the earthquake. Victorian, Edwardian and Art Deco buildings; heritage trams clanging through the streets, punts creeping along the Avon. But you can rip a few pages from any guidebook written before 2011, because much of the heritage is history now. The tracks which meander round the town are filled with moss, because the trams no longer run. The Guthrey Centre, Manchester Courts, the Press Building, the Civic, all gone: crushed to rubble and cleared into piles. The tremors pushed over the cathedral’s tower, knocked Scott of the Antarctic’s statue from its plinth, ripped away walls to make public the private, tumbled whole rows. It killed 185 people. Hardly anything taller than three or four storeys remains. Much of the rest is in ruins. Collapsed roofs, crumpled facades, smashed windows; the floors of the multi-storey car park concertinaed, cellars exposed and filling with water. Dozens of lip glosses litter the floor of a ruined shop. Dummies have been flung in a mass grave. There are old adverts for staff in the windows of bars which will never open again. The mannequins in Just Jeans are still dressed in the fashions of early 2011. Dusty posters pretend that an Art Deco block will still sell by private treaty, that a tenant is still wanted for a showroom in a “prime corner location” which stands on its own at the end of a street full of wreckage. Traffic lights pointlessly change where no cars go anymore. Historic facades balance precariously, propped up with old containers. The buildings behind them have been flattened. A row of Edwardian shops along High Street seems barely damaged at the front, but it is a bombsite at the rear. “Please save High Street,” reads a grubby banner flapping in the wind. 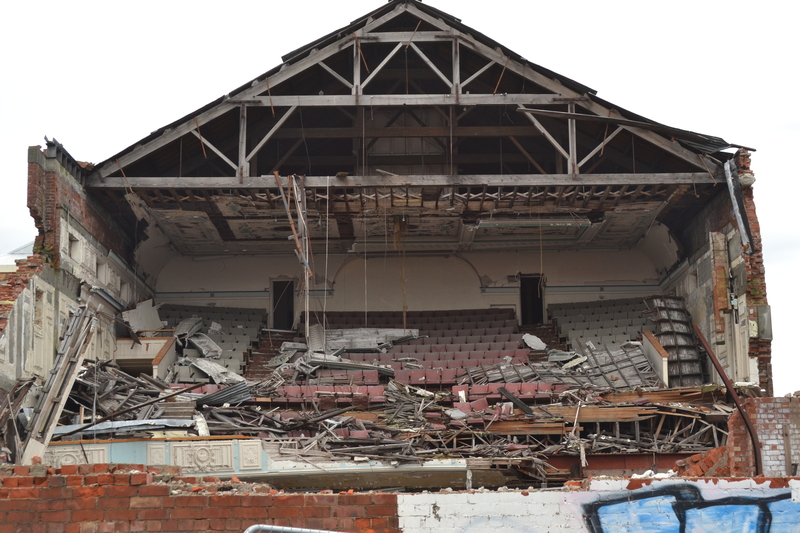 But it looks doubtful whether much of old Christchurch will still be there when the demolition is done. Everywhere you go, you hear the sickening crunch of masonry under the wrecking ball. 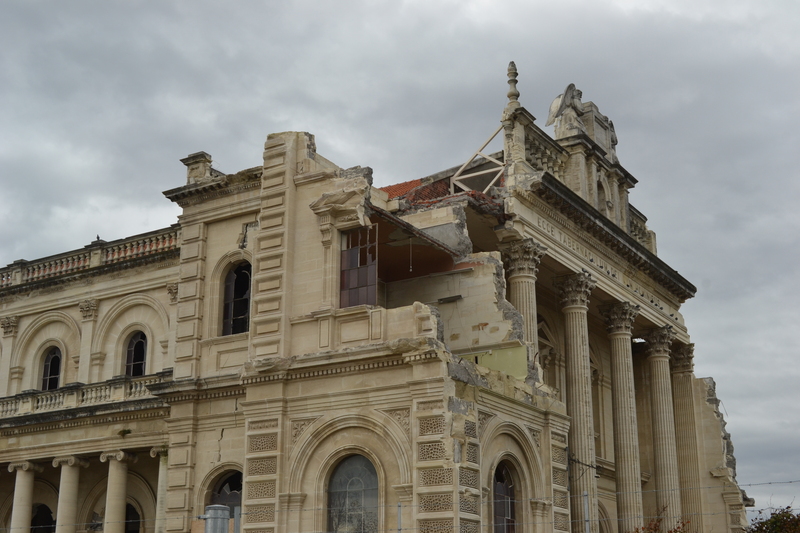 Even the cathedral is being demolished. Quotidian life goes on. Businesses have moved to the inner suburbs. 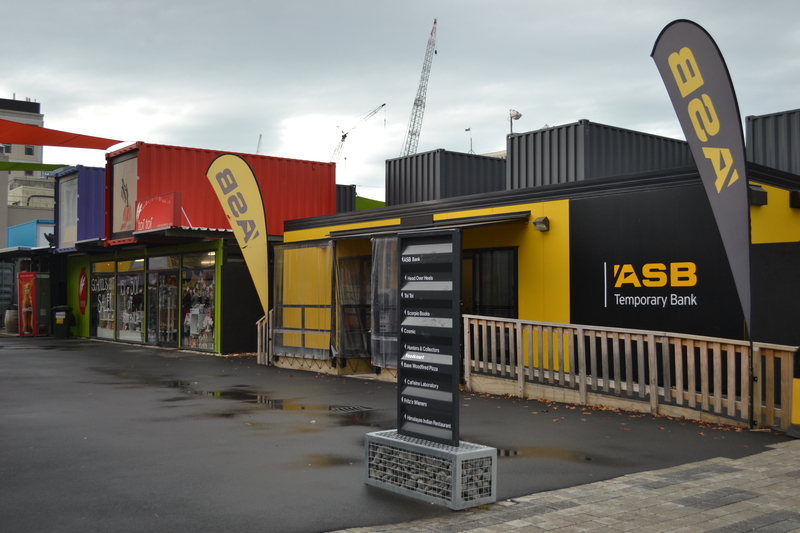 Shops have opened in a pop-up mall built from containers stacked and painted in defiantly cheery colours. But the post-apocalyptic pall will hang over the city for years ahead. The pictures of Christ Church look more like a third world country than the beautiful town I remember. That was written in 2014. I wonder if it’s still s bad. 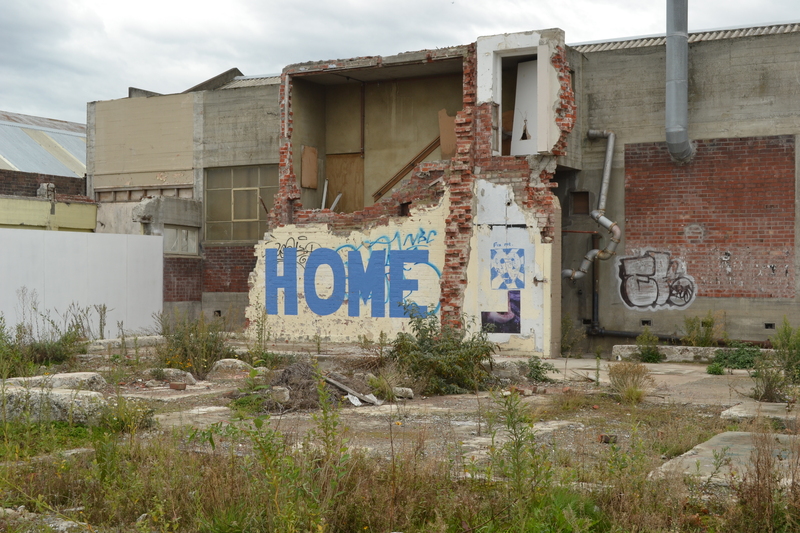 I was there in May 2013, and work was ongoing then, but this report from a British newspaper earlier this year suggests that it will not look much different now: http://www.theguardian.com/cities/2014/jan/27/christchurch-after-earthquake-rebuild-image-new-zealand. It is shocking to see.